Yasunori Mitsuda is a video game composer from Procyon Studio who is known for his compositions of Chrono Trigger series, Inazuma Eleven series, and Xeno series. 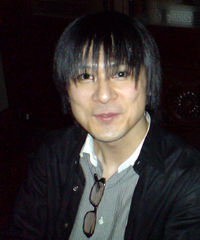 He first started composing video game music after joining Square (now Square Enix) in 1992. Along with composing video game music, he sometimes worked as a sound engineer in some games. In 1998, Mitsuda worked as a composer for Mario Party, along with Kenta Nagata and Koji Kondo (the latter two were not on the credits of Mario Party). He would later be a co-composer of Mario Party 2. Other than first two Mario Party games, he arranged some themes of past Nintendo games in Super Smash Bros. Brawl and Super Smash Bros. for Nintendo 3DS / Wii U. This page was last edited on March 15, 2018, at 13:10.